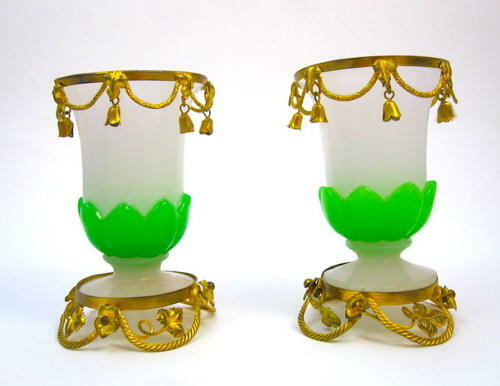 Antique Pair of French Palais Royal Green and White Opaline Glass Vases. The Oval Rim is Also Decorated with Dore Bronze Bells. This Design is called Acanthus Leaves Design ('Feuilles D'Acanthe'). See Page 144 Les Opalines by Christine Vincendeau for the Same Design.